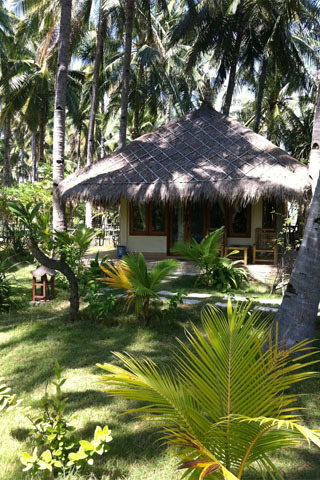 Tucked away within a coconut plantation on the west coast of Gili Air, Island View Bungalow offers excellent value for Gili Air. 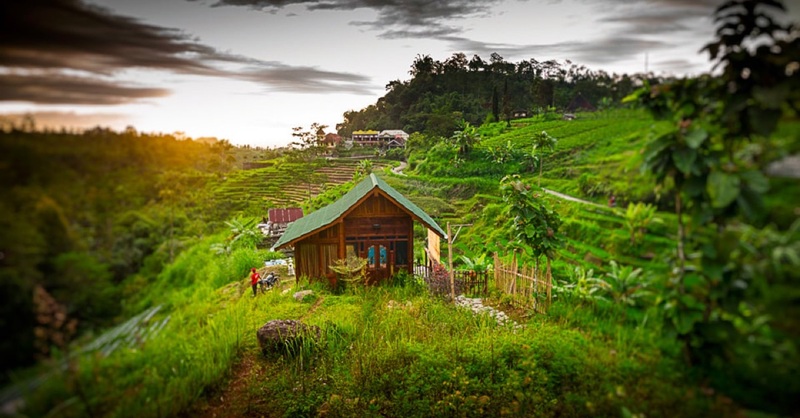 It has two chalet style rooms with air-con, hot water showers and good, comfortable bedding and a handful of A-frame bungalows that are equally well decked out. The restaurant is little more than a shack and the food isn’t anything to get excited about — at all — but the drinks are cold and the guys who run the place very friendly. The beach out front is lovely and at high tide is a good spot for snorkelling with a good chance of seeing turtles. Ring ahead to check availability. Recommended.